This Bosch Steam Iron delivers powerful steam to maximise efficiency and tackle stubborn creases, making ironing simple for anyone. With 2300W power, it heats up in no time and has a transparent water tank with a 290ml capacity which is incredibly easy to refill. 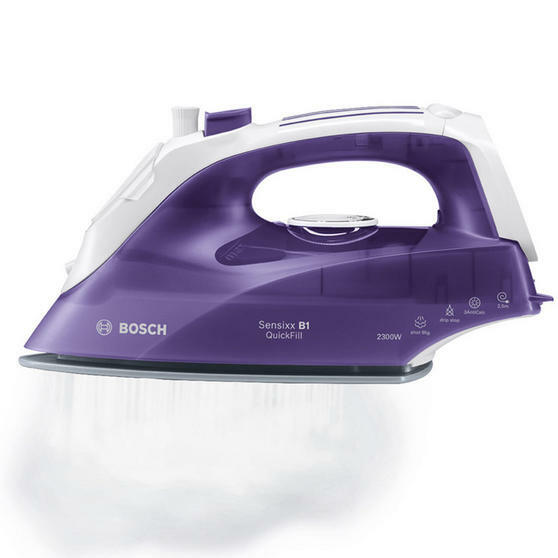 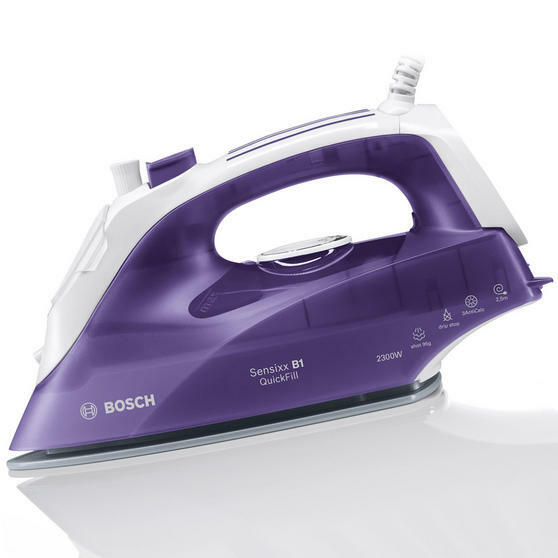 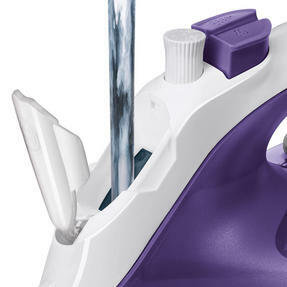 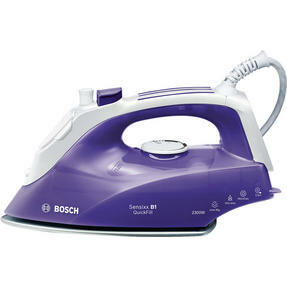 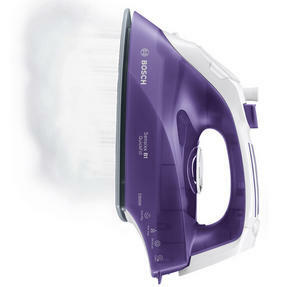 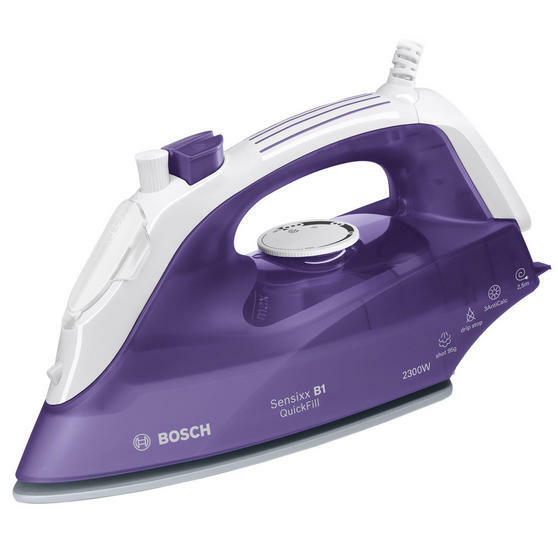 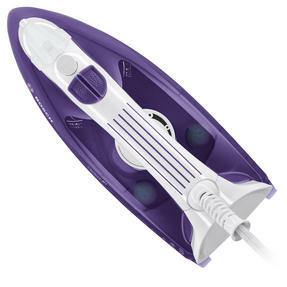 The iron can produce 35g of steam per minute or an impressive 95g shot if you need to remove any difficult creases. 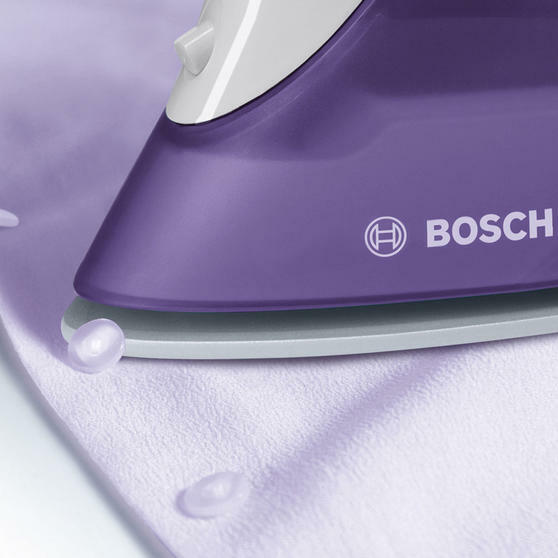 Featuring a fantastic easy-glide soleplate, the iron will effortlessly glide over garments and has adjustable temperature settings. 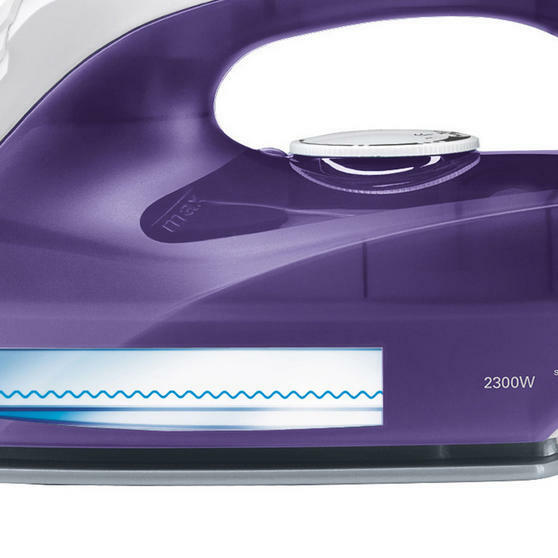 With a 2.5 metre cable you can iron your clothes without being restricted by a short wire, this iron can meet the demands of any home.